U.S. Navy Memorial - Lone Sailor Awards Dinner - DatocWitten Group - Strategic Event Planning and Fundraising. 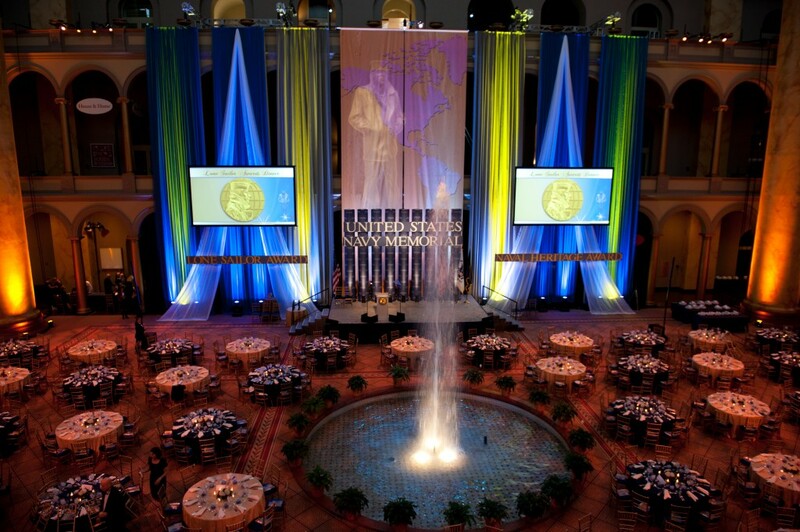 The US Navy Memorial Lone Sailor Awards Dinner is hosted annually at the National Building Museum in Washington, D.C. The event has raised more than $600,000 in each year since DatocWitten Group, Inc. began producing it in 2009. Honorees have included: Fred Smith, Chairman, President and Founder, FedEx Corporation; Leonard Lauder, Chairman Emeritus, Estee Lauder Company; baseball legend Yogi Berra, Bill Cosby and football legend Ed LeBaron, Jerry Coleman, Beau Bridges and Brian Lamb. DatocWitten Group has provided comprehensive logistics and fundraising services for the gala which include participation from senior Navy, Marine and Coast Guard officers and Defense Department officials specifically Secretary of the Navy, Chief of Naval Operations, Commandant and Assistant Commandant of the Marine Corps, Commandant and Vice Commandant of the Coast Guard.